The construction of carved maple top on a chambered mahogany body gives this guitar amazing natural sustain and resonance. 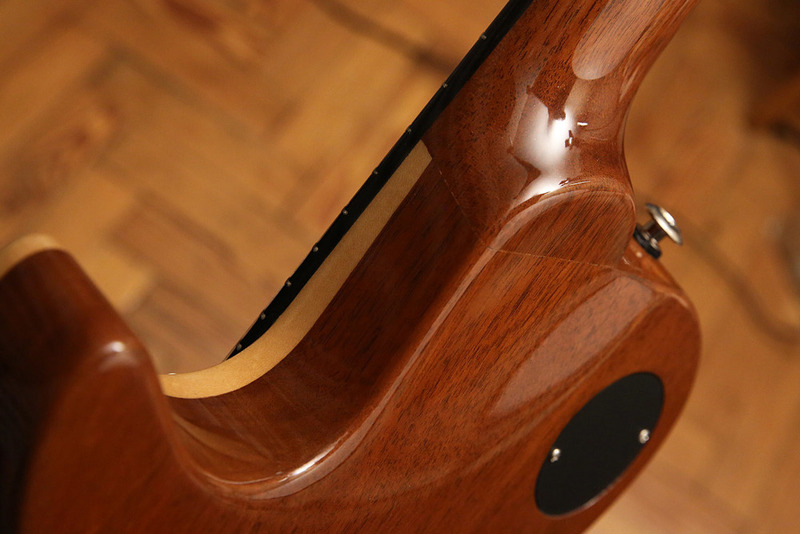 The neck is hand carved from one piece of quarter sawn mahogany, creating a comfortable and stable neck with a great feel. 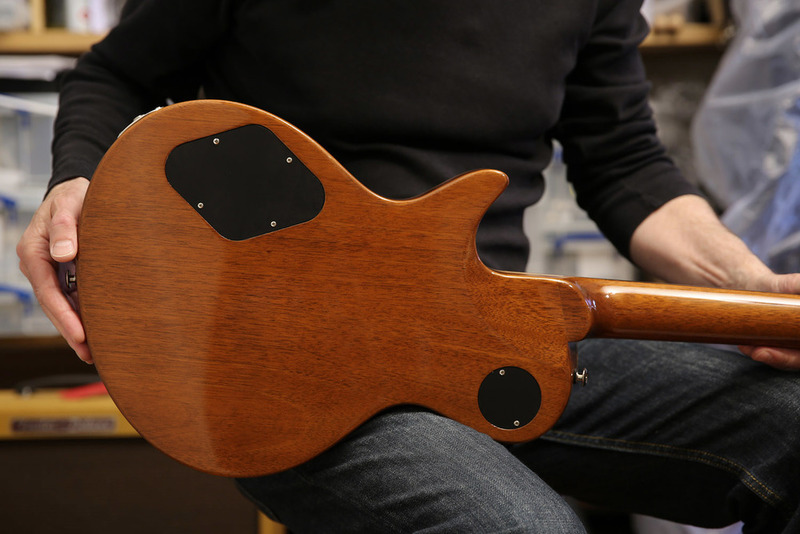 The rosewood fingerboard adds warmth to the tone and has a rich, dark colour. All hardware is made in the US and includes a lightweight, fully adjustable Pigtail wraparound bridge and Sperzel Solid-Pro tuners. The guitar is fitted with high quality CTS pots, Switchcraft toggle switch and a pull/push tone pot for coil splitting. A 50’s wiring scheme is used to minimises treble loss when rolling back the volume. The Bare Knuckle handwound 'Emerald' humbuckers are classed as vintage/hot. Punchy mids and crisp bottom-end give this Alnico V powered humbucker a distinctive blues-rock character with great attack. The moderate output of the Emerald humbucker allows for a more open and clear high-end compared to hotter pickups especially when used with high amounts of preamp gain. Plain enamel hand-wound coils keep the bottom-end tight and controlled while maintaining presence in the highs with excellent pick articulation and sweet harmonics. 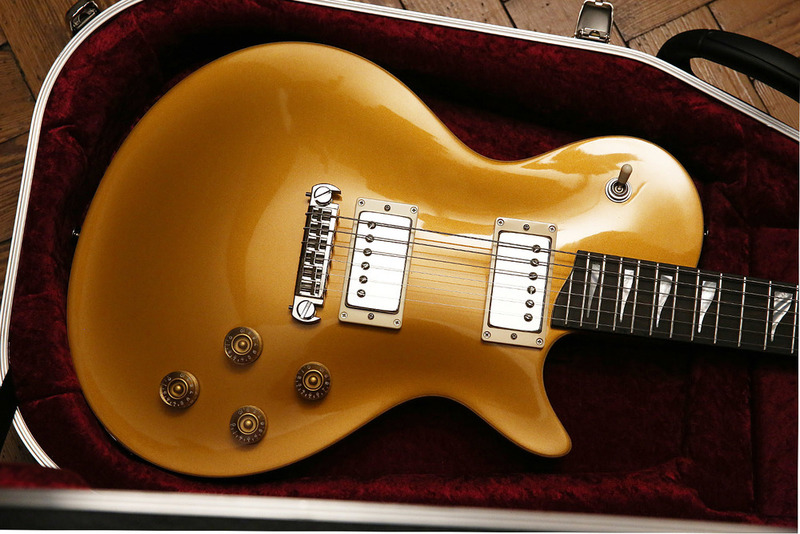 Clean tones are tight and percussive with a clean edge to the front of each note. When used with overdrive the Emerald will saturate really well, never sounding dark or losing definition, producing a hard-hitting crunch tone.